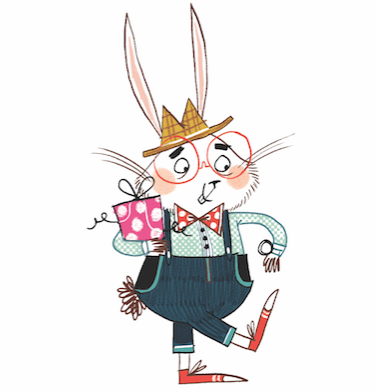 It's fantastic to be hosting the wonderful Lari Don on Mr Ripley's Enchanted Books. This is an opportunity to celebrate the release of the final thrilling installment of the spellbinding Spellchasers trilogy. The Witches Guide To Magical Combat was released on the 17th August 2017 and was published by Floris Books! It's been a fantastic trilogy and one that I would definitely recommend that you read. 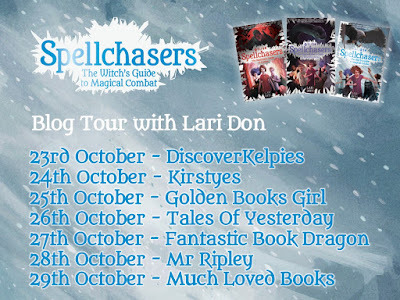 This is the penultimate stop on the blog tour where Lari Don talks about the writing process and what she has learned from writing a trilogy. This is a brilliant insight for readers and writers alike. And over the last couple of years, I’ve also changed my writing process, in order to cope with the new experience of writing a trilogy. I’ve just finished writing the Spellchasers trilogy, and I have loved spending so much time with the same magic and characters. 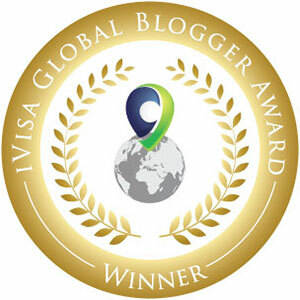 But it’s also been the biggest challenge of my writing life! A trilogy is not three stories. It’s four stories. One story across all three novels, and a distinct story in each novel. That’s a lot of stories to juggle all at the same time. Keep hold of your central question. 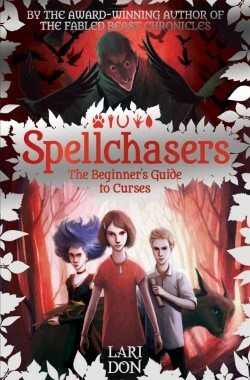 The first Spellchasers book begins with a girl, who has been cursed to turn into a hare when she hears a dog bark or growl, going to a curse-lifting workshop. So the big question of the whole trilogy is: will Molly lift her curse? How the curse affects her, how she tries to lift it, and who tries to stop her lifting it, those questions change in each of the three books, but ‘will she lift the curse?’ remains the central question. My job was to keep the central question fresh and new in each book, and to allow the subplots to enhance it, not obscure it. Look for titles that play happily together. 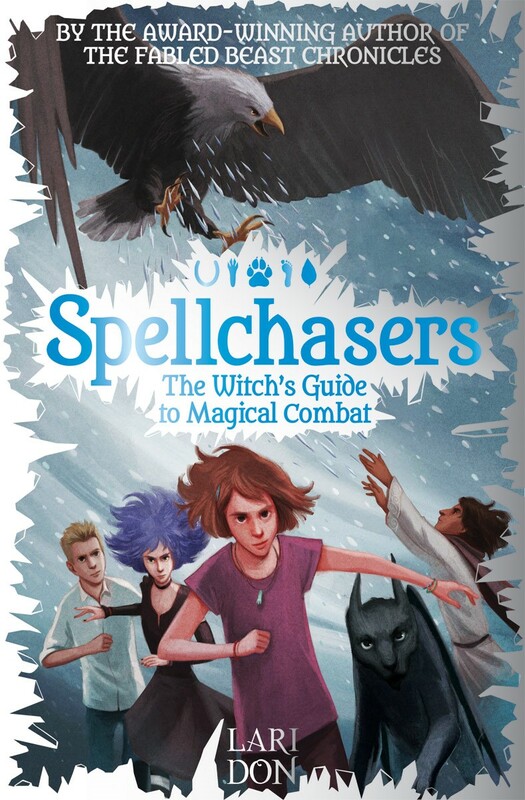 My editor and I didn’t agree on the titles of the individual Spellchasers novels until I was nearly finished writing the first draft of the third book. ‘The Beginner’s Guide to Curses’ was a line from the first book, and suggested a structure for the two titles, then we had to work out what character or aspect of a character to highlight in the other titles. 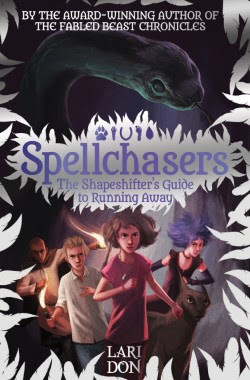 The second title The Shapeshifter’s Guide to Running Away was suggested as a joke by my kids. (Even if they do drive me to the shed, they are still useful!) The final title The Witch’s Guide to Magical Combat gave me the perfect way into the big battle at the end of the last book. Accept you might need to change your writing process. I’m not a planner. I don’t want to know the end of a book, or even the middle when I start to write. I like to find out what happens next by writing it. I like to meet my characters by seeing how they cope with obstacles. I don’t use storyboards or mind maps or outlines. I just jump into the story and see what happens. That has worked fine for the last six novels. It worked fine for the first Spellchasers novel too, but by the end of the second novel, I started to have my doubts about it as a process for writing a trilogy. I realised that if I just wandered into the third book with a fistful of subplots, an increasing cast of characters, and a vague desire to see what happened next, I would end up with a book that was twice as long as the first two books put together. I abandoned my usual process (a terrifying thing to do!) and actually sat down and worked out what was going to happen. Though I made sure I left a few questions unanswered, so I had some discoveries to make as I wrote. And Molly’s final decision was a surprise to both of us! 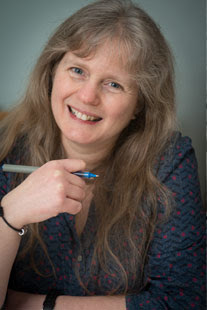 Lari Don is a full-time children’s writer and storyteller. She grew up in the North East of Scotland and now lives in Edinburgh. She writes in her garden shed, helped by purring cats and hindered by lurking spiders. Lari has written more than 20 books, including adventure novels, picture books and retellings of traditional tales. 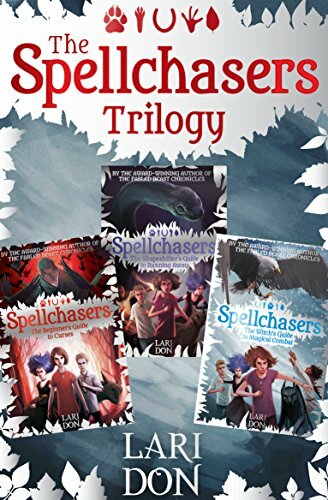 The Spellchasers trilogy is available and out now.